Since the new Fortnite game mode, Battle Royale, was released, it has become a 100% online game that requires an active Internet connection to be able to play. Therefore, how it works is based on a multiplayer all versus all game mode with battles with up to 100 players. To make it work, we have to download the game’s installer, which we can get hold of for free, which installs a client by means of which we’ll download to our PC everything necessary to run the game. In turn, it requires an Internet connection as it connects to online servers to be able to place all the players on the same battlefield. From there on, the game is developed just like any other massively multiplayer online video game in which each gamer will advance depending on his achievements during the game. That will allow him to increase his level and unlock new rewards. In turn, we can purchase different mission packs and campaigns as well as complements focused on different aspects of the game but not to gain competitive advantages by means of weapons and other similar objects. The truth is that it doesn't work too differently to the the mobile or video console version, other than the control system differences of using a keyboard or gamepad. In any case, the development studio behind this title, Epic Games, guarantees an efficient system to control cheaters (although they haven’t provided too much information about the latter), which is capable of detecting and automatically banning players that have used illicit methods such as creating teams in the single-player mode, using bots or receiving external help. 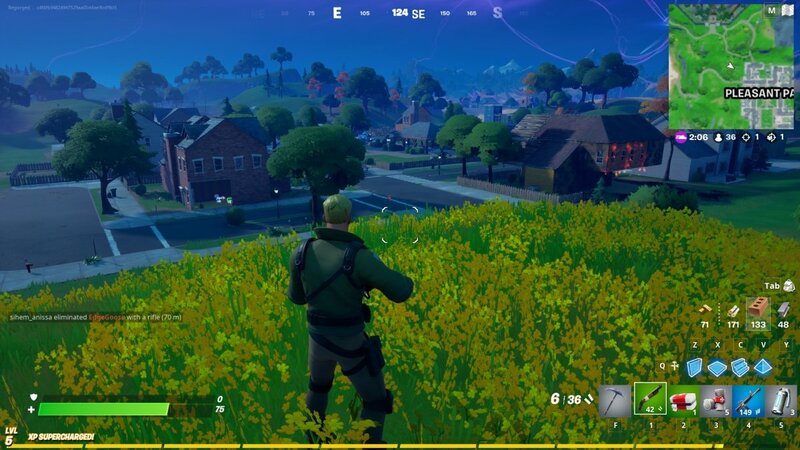 In the future, we expect Fortnite to incorporate functions and features that are inherent to this kind of action game, as is the case of a real-time voice chat during the game.